It had been quite a while since I read one of Peter Lovesey’s Detective Peter Diamond mysteries (that last one was the excellent Bloodhounds) and I’d half forgotten how good these Diamond novels are. Shame on me. This one involves a murder on a crowded public beach in broad daylight. With hundreds of adult and children sunbathers and swimmers you’d think there’d be a witness to something but no, nothing. No one, apparently, saw a thing. Though the murder takes place in Sussex, the victim lived in Bath, and as Bath is Peter Diamond’s stomping grounds, the Superintendent gets involved, more and more deeply as the book goes on. Lovesey is top notch at drawing character, and that’s ably demonstrated here. Setting plays an important part too, and it’s a good story. I ascertained the identity of the murderer a bit before our hero, but that’s okay. Perhaps I was extra-sharp that day I finished this one. It was still very intriguing to see how the bad guy was identified and caught. Entertaining and enjoyable. It’s been a while since I’ve read any of Lovesey’s Peter Diamond books — something I have to correct. Take care of the cold, Richard. I had one a couple of weeks ago and it was a doozy. I hadn’t reD one in ages, but not will put another in the little TBR bookcase (which is about half full), so I won’t forget. I have to see which is next in series and if I’ve read it, since I haven’t been reading them in order. The cold, to pull a song lyric, “really got a hold on me”. Feeling a *little* better today. Lots of fluids and sleep. After surgery, your immune system is impaired. Stuff like this sometimes happens. George, the first thing I do when I feel a cold coming on in start taking Airborne, which boost the immune system and adds vitamins, though I take those anyway. Then, as you say plenty of fluids (water, soup, juice), rest, sleep. Are you a fan of Peter Lovesey’s books? Feel better! That’s the important thing, taking care of yourself. I’m a big Lovesey fan too, though I have to admit I’ve never warmed to the Diamond series the way so many critics have. I’m not sure why, either. BLOODHOUNDS was the last one I read. Interesting, I’ve read mostly the Diamond books, though a couple others were very good too. I think I’m about to start on a western kick myself. Share what specifically you’re reading as you go, Charles! Been ages since I read a Lovesey and have had this on the shelf for ages – excellent! Thanks Richard. Hope you try, and enjoy, it! Never read Peter Lovesey before, Richard. Sounds like I might enjoy reading his novels. I hope you feel better soon. I usually pop Vitamin C and drink plenty of warm water throughout the day. Thanks,, Prashant, nice to see you here again. 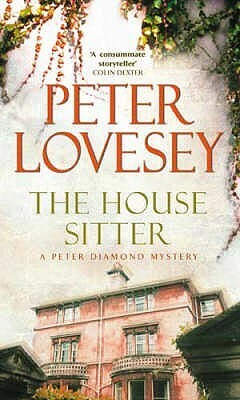 I think, based on the books I’ve seen you say you like, that you’d enjoy Peter Lovesey. Try one! I’ve read this a couple of times, Richard. It is one of my favorite Lovesey books. This one and I think, THE VAULT are especially good. Yes, I can see it would hold up to rereading. I fall behind or forget about good series like this and then come across one and wonder why. I only recently read a Peter Lovesey book in the Peter Diamond series, and I had the same reaction… that I had forgotten how good they were. The one I read was an earlier one, and I look forward to catching up with the rest.